John Wilkes Booth, the mercurial son of an acclaimed British stage actor and a Covent Garden flower girl, committed one of the most notorious acts in American history—the assassination of President Abraham Lincoln. Fates and Traitors brings to life pivotal actors—some willing, others unwitting—who made an indelible mark on the history of our nation. Chiaverini portrays not just a soul in turmoil but a country at the precipice of immense change. 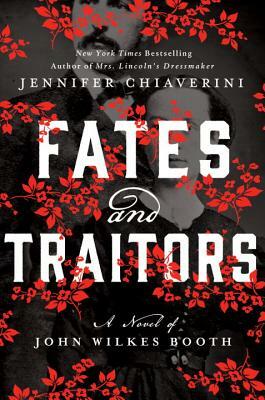 JENNIFER CHIAVERINI is the New York Times bestselling author of Mrs. Grant and Madame Jule, Mrs. Lincoln's Dressmaker, The Spymistress, Mrs. Lincoln's Rival, and the Elm Creek Quilts series. A graduate of the University of Notre Dame and the University of Chicago, she lives in Madison, Wisconsin with her husband and two sons.